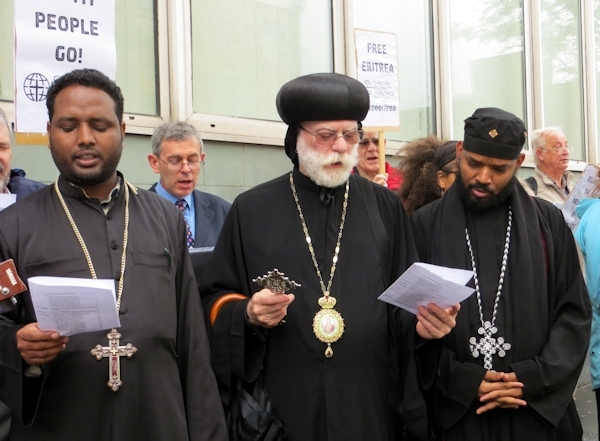 Abba Seraphim joined a Prayer vigil outside London’s Eritrean Embassy on 22 May to mark the twelfth anniversary of the Eritrean government’s persecution of Christian churches. This event is jointly sponsored by the British Orthodox Church, Church in Chains, Christian Solidarity Worldwide, the Evangelical Alliance, Human Rights Concern Eritrea and Release Eritrea. As in previous years the protest is dignified and composed of scriptural readings, prayers, hymns and short talks highlighting the plight of Christians in Eritrea. 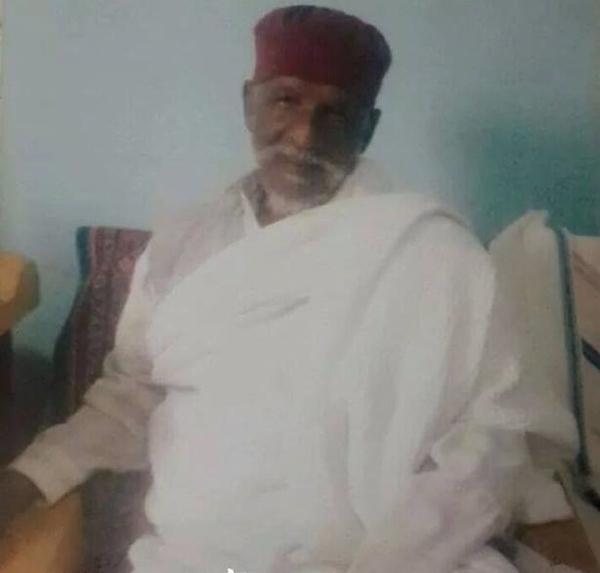 Abba Seraphim spoke of the uncanonical deposition and long imprisonment of Abune Antonios, the legitimate Patriarch of the Eritrean Orthodox Church. Only recently OCP Media Network released a clandestinely taken snap of Abune Antonios from a cellphone, which showed His Holiness looking tranquil and at peace, although still under house arrest. Requests for him be moved to a monastery have fallen on deaf ears. Commenting on this photograph Abba Seraphim noted that although the government had stripped away his regalia, his authority and his freedom, they had not been able to take away his inner peace and life of prayer. The photograph showed a monk at peace with himself and his God, having served faithfully and refused to compromise with truth in order to retain his status and worldly honour. By contrast, Bishop Dioskoros, who allowed the government to place him upon a stolen throne, was now suffering from the effects of recent debilitating stroke, which left him physically and mentally incapacitated. We pray that, while he still has time, he may yet repent in his heart for his faithlessness and receive forgiveness. “For what shall it profit a man, if he shall gain the whole world, and lose his own soul?” (Mark VIII: 36). At the conclusion of the vigil, Abba Seraphim, accompanied by Andy Dipper, David Turner and Dr. Berhane Ashmelash, (on behalf of the participating organisations) handed in a letter of protest to His Excellency the Eritrean Ambassador.